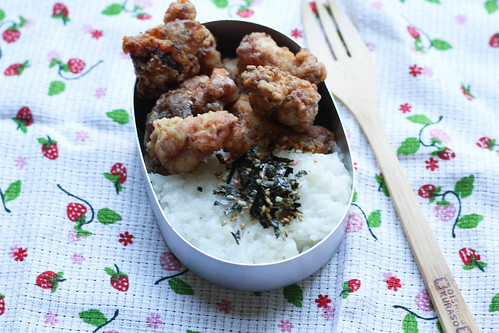 Found a mochiko chicken recipe on the Internet. 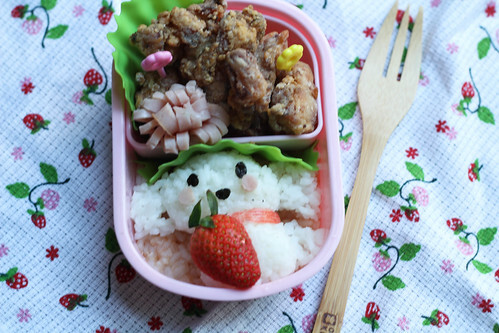 It's very suitable for bentos, the chicken still tasted crispy after it was cold. The extra ingredient was rice flour. I had extra chicken leftover, so I made a bento for myself. 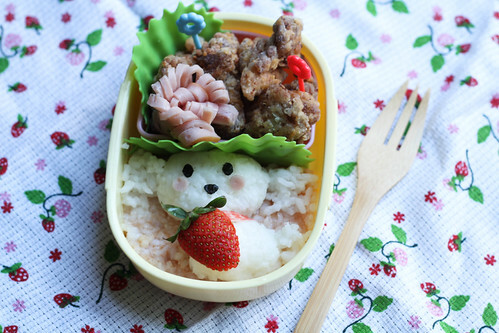 Snack bento was sandwich with ham n sausage. 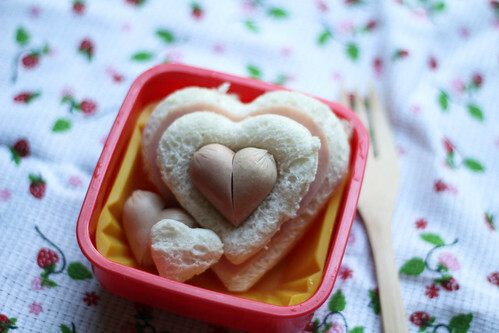 that heart sandwich is especially awesome! I want to duplicate it!